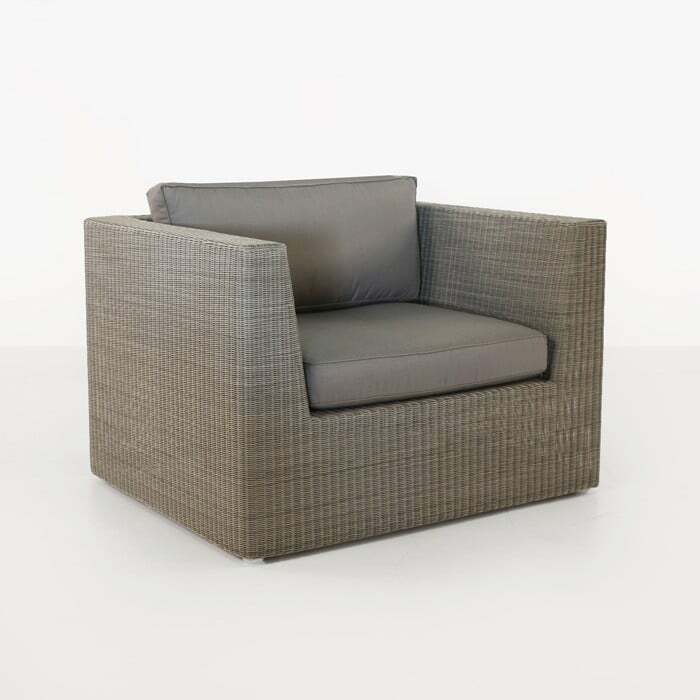 A gorgeous structure for spaces of all sizes, this smaller footprint outdoor wicker loveseat gives you the versatility that you’ve been looking for to fit any space. It is lightweight, angular, and has sophisticated contemporary lines, without being over-the-top. 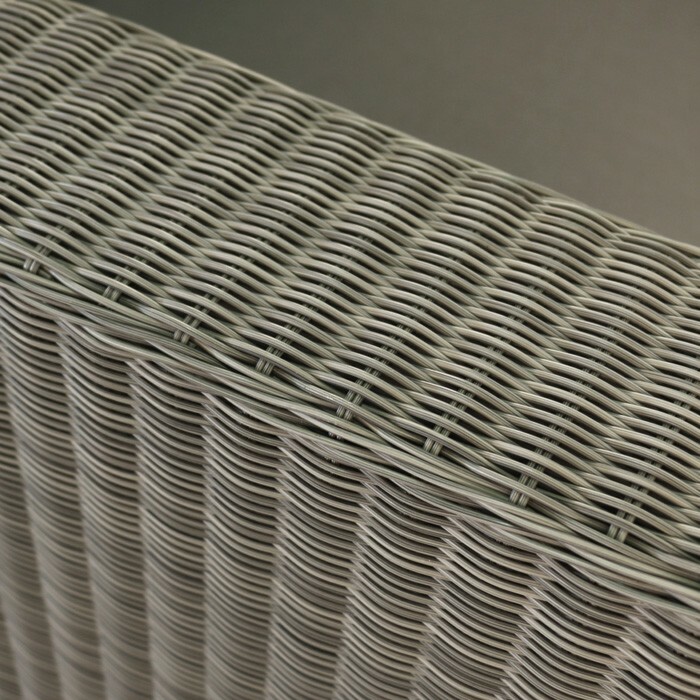 The full length skirting of the woven shell wraps the lightweight powder-coated aluminum framing all the way to the ground, giving a gorgeous monolithic stature, while still offering lightweight mobility and ease of maintenance with the synthetic outdoor wicker build. 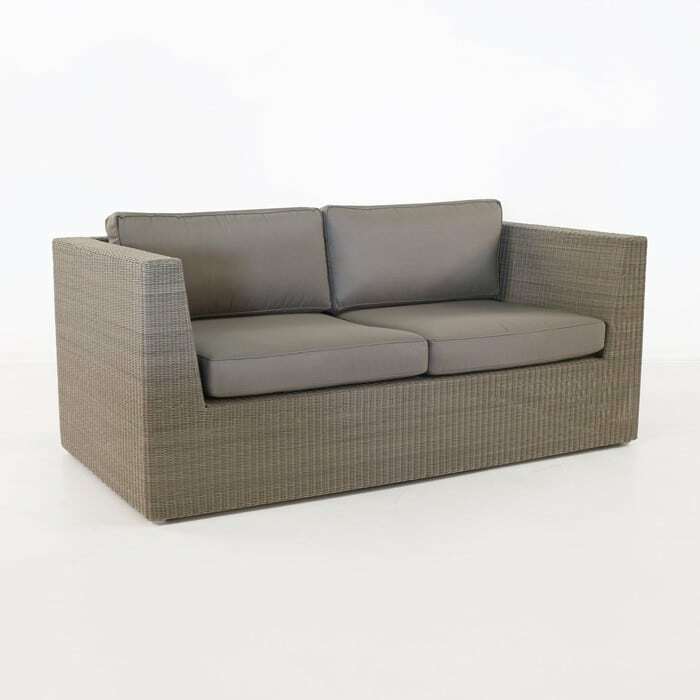 This loveseat seats two people comfortably and offers a great deep seating experience without sacrificing the clean, fresh look that it was built to portray. 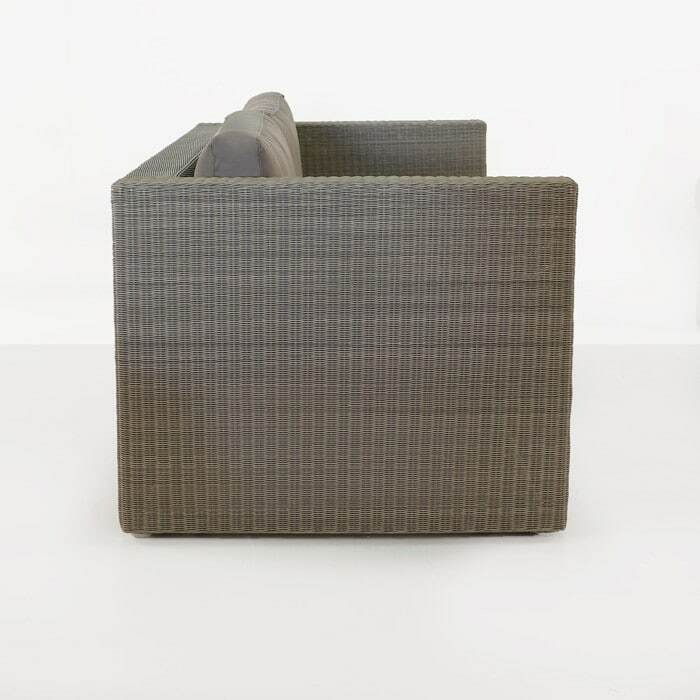 The Stonewash color offers a bit of a neutral take on tan, and gives you a color palette that is very utilitarian, but doesn’t sacrifice the deep style this piece is known for. 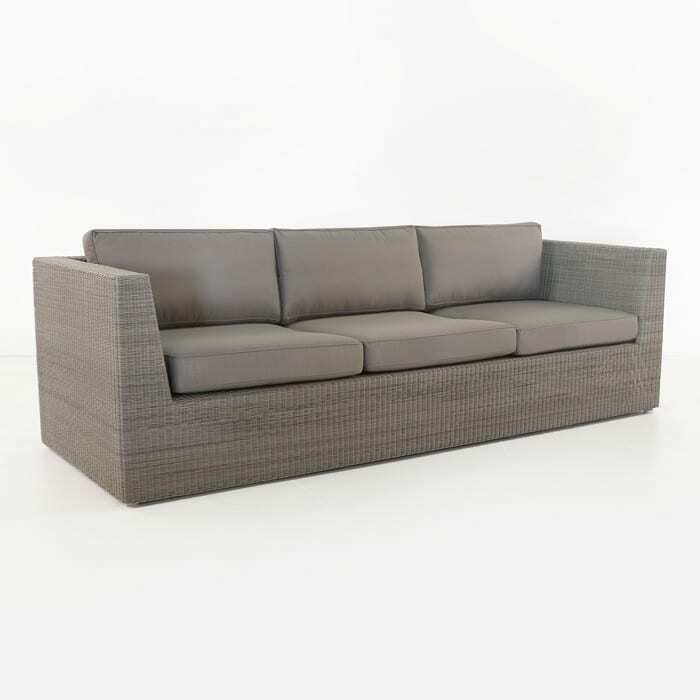 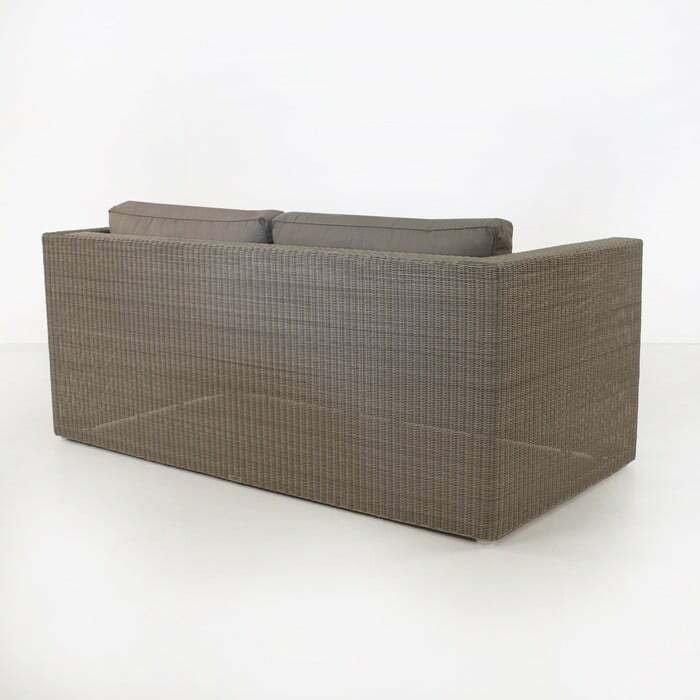 This synthetic outdoor wicker loveseat includes the cushions as shown.